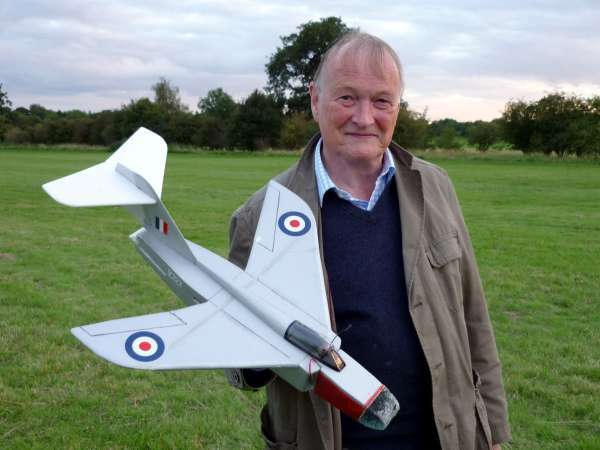 Graham Gostick PMFC with his depron jet Hawk model which flew so well on KP ducted fan and 3cells lipo. Graham added a blunt thicker leading edge to the wings after reading a magazine article and this has now resulted in a consistently superb flying model. 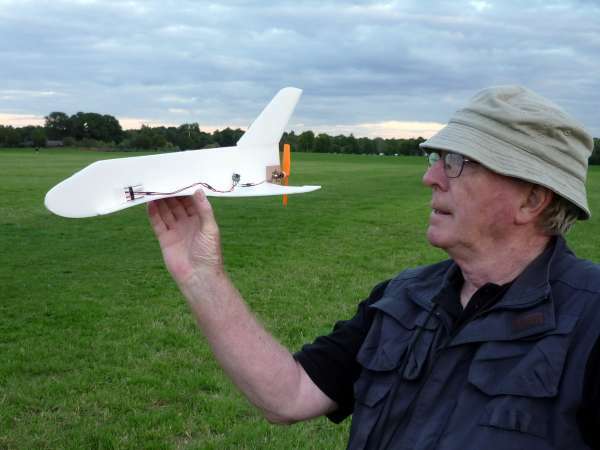 Ian Middlemiss PMFC with his depron space shuttle on Kp timer, one cell, and voodoo 25 gearbox motor.